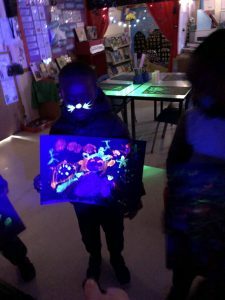 For WOW DAY we transformed our classroom into a nocturnal habitat. 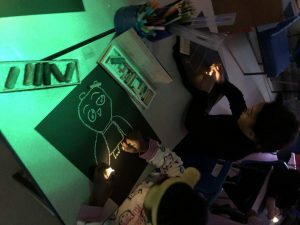 We made sure no light could pass through the windows or cracks in the doors. 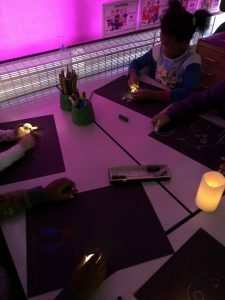 We lit our room with LED candles and fairy lights to create low-level lighting. 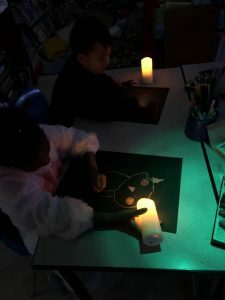 Once it was dark we thought about what could make our ability to hunt and live in the dark easier. 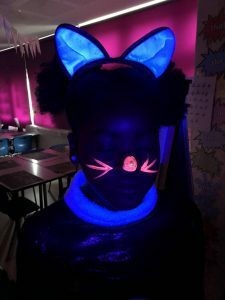 This helped us to understand how adaptations work for nocturnal animals. 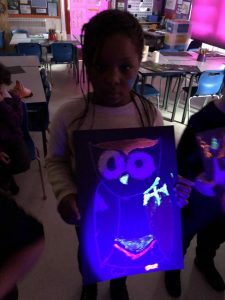 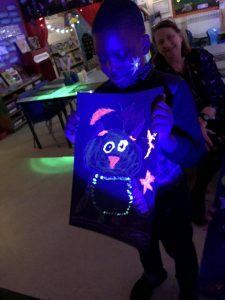 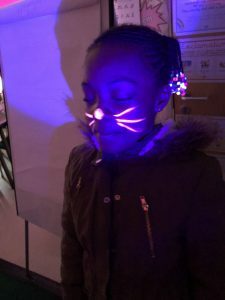 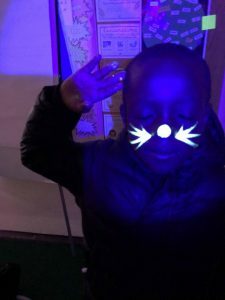 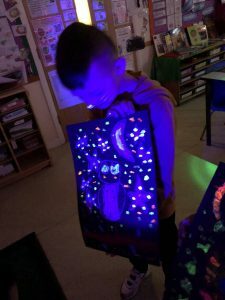 Finally, we used glow in the dark paint and oil pastels to create nocturnal animal art work and face paints.